I know you are possibly sick of hearing about GTI by now but new things are trickling out that are noteworthy enough, so let’s get on with it! Thanks to Joe for the link to this collection of photos by David Liu. 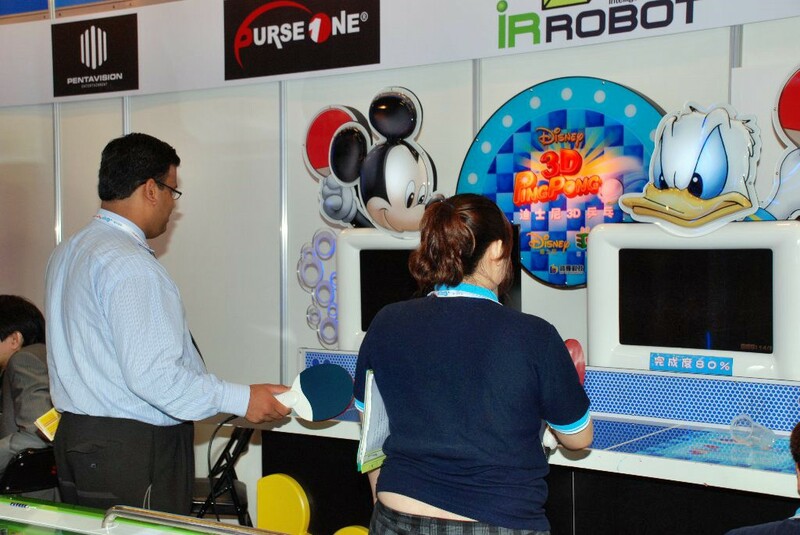 I’ll start out with commenting on the photo above – Disney’s 3D Ping Pong. We’ve talked about it before – it’s an official Disney product and it uses stereoscopic 3D TV’s that don’t need glasses. Interesting how on film the images are very dark. This one is supposed to be available next Thursday, should be interesting to see how it’s received. With Disney dabbling not only into 3D like this in the gaming world but also the coin-op arcade sector, could we possibly see a Tron arcade game coming out along with the movie? That might be a long shot but if they are serious about coin-op with this game then why not? There are a few more pics from GTI, hit the break to check them out. Here’s a few more videos from my trip to IAAPA. I have been trying to upload the Universal Space booth video but Youtube has not been co-operative with that particular video today so I’ll try it again tomorrow night. In the mean time, here are some efforts by a couple of Chinese companies and a Japanese company. First, Tecway Developments/Belrare. We’ve covered this company in the past although I sort of forgot about them and didn’t expect to see them at the show. They has a couple of interesting games at the booth as you’ll see below, the snowboarding game, Magic DJ and Happy Balance Ball. Magic DJ as you’ll notice is a clone of PM Studio’s DJ Max Technika. The big difference between the two – Magic DJ has two screens instead of one. I also didn’t see any mention of online modes, which DJ Max prides itself on. Because the volume on this game was up quite high it caused crackling on the mic in my camera. 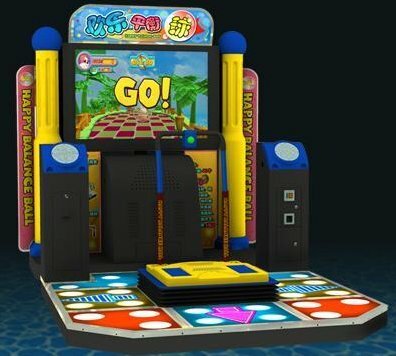 Happy Balance Ball is a Super Monkey Ball clone but you stand on a movable base to get your ball moving. At first I thought it was a clone of Taito’s Hopping Road but upon closer inspection I saw what it really was. One amusing thing you’ll see in this video is the “homage” of sorts to Street Fighter IV. Kung Fu Ball. I found this one interesting because I’m a sucker for tabletop/cocktail games. It’s actually an updated, head-2-head version of Pong and Breakout, with cutesy 2D graphics. In single player mode it becomes like Breakout, in head-2-head mode, it’s like Pong. The speed of the ball is determined by how late the player hits it, if you time it just right you can send a fireball flying towards your opponent. Only two barriers/hands can be up at once though so you have to be quick on the controls. 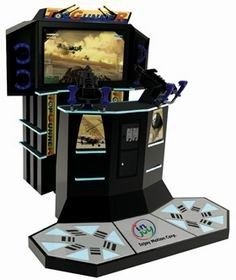 It has a few different levels and several difficulty settings that the player can choose, it’s fun to play and it’s all housed in a sweet deluxe cocktail cabinet. The only question is, would operators pay $5000 for one? 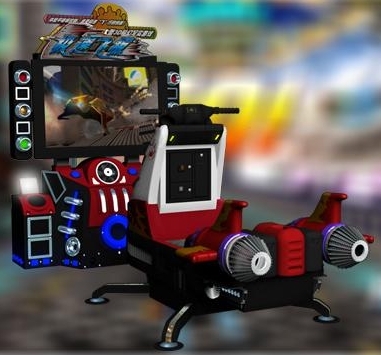 While reading the latest Stinger Report newsletter, I came across the news that Taiwan-based developer InJoy Motion Corp. had recently announced two new arcade titles, a mounted gun shooter called Top Gunner and a kart racing game called Dido Kart. While doing some research to find out more about those two titles(which is still sparse as they are not on the company’s website), I came across some information on some new games being made by a company that I had previously not heard of – Belrare. What caught my interest there was a title they are calling either “Rebob Skiing” or “Super Hot Skiing” (both names are on the website) – a deluxe snowboarding game that according to the image I posted above is based upon SSX Blur – an EA title that a while back appeared on the Nintendo Wii. Apparently this and a few other titles by the same company made their debut a few months ago in China, and a couple of their other offerings use a similar base that the player stands on. 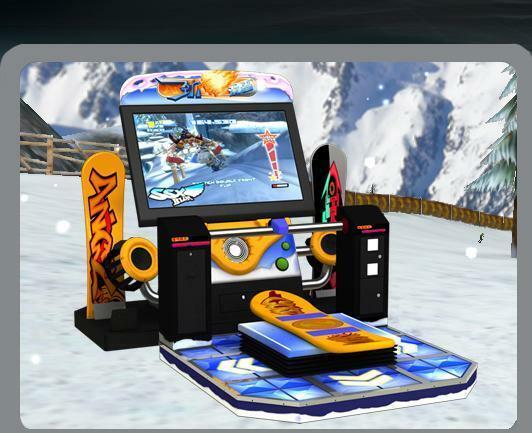 One of them is called “Speed Aircraft” where the player races on some sort of futuristic hover craft that looks like a jet ski and the other is called “Happy Balance Ball” which looks an awful lot like Super Monkey Ball. You can see each of these by click on the thumbnails below; I have also added a picture of InJoy’s Top Gunner game as well. I admit that I like the cabinet designs that Belrare has come up with – they obviously are not made for entertainment facilities that don’t have a lot of space available but they certainly are eye-catching.